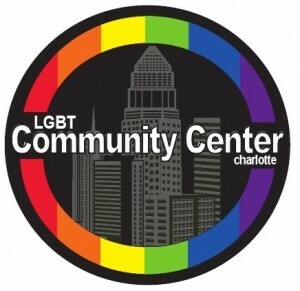 Tonight, several years since it last did so, the LGBT Community Center of Charlotte will host a town hall for community members to share their ideas, thoughts, suggestions, feedback and concerns. The event, prompted in part by my several posts exploring the center’s operations and activities last month, will be held tonight, Wednesday, Dec. 4, 7 p.m., at the LGBT Community Center of Charlotte, 2508 N. Davidson St., Charlotte, NC, 28205. I encourage you to attend, and to bring any questions or ideas you might have for the center’s leadership. You can click here to RSVP to the event on Facebook. Many of the concerns I have had have revolved around the center’s financial stability and stewardship, as well as their organizational responsibility. I’ve challenged the organization to publicly release its bylaws (which it finally did last month) and its financial reports (which it also finally did last month). Other concerns are left unaddressed; we don’t yet know if they will open their board meetings to the public or if they have yet to renew their charitable solicitation license with the state. I hope to get answers to these questions and several others on Wednesday, but, most importantly, I’m interested in hearing what community members like you have to say about the center’s leadership, programs, services and direction. And, it’s clear center leadership needs community feedback. “What does the center actually do?” This a question I hear posed by community members time and time and time again. And, there are never any answers from center leadership. Perhaps, it’s because center board members themselves historically have not known what their organization’s mission truly is. To get your minds prepped and thoughts flowing for tonight’s town hall, I’ve included a bit of a thought exercise below, quoting several differing versions of the center’s mission and purpose. Use them to begin asking what you want your center to be, what it can or should be doing and how it’s leaders should respond to community feedback. The differing versions of the center’s mission and purpose were each found in official tax or other government documents, on the center’s website and elsewhere. Each of the statements — though sometimes differing wildly and even at times differing within the same single document — contain great ideas for the center’s mission and direction. I’m hoping Wednesday’s town hall finally gets us all — together — closer to knowing and trusting what the center is doing for our community now and what it seeks to do for our community in the future. NOTE: The below text comes from several documents from the center’s various mission statements or purpose statements. These are directly quoted; I have not edited them to correct spelling or offensive labels like “transgendered.” You may also notice the organization is sometimes referred to as “Lesbian and Gay Community Center of Charlotte” in some of these statements, as that name remains the legal name of the organization, as noted in its bylaws and as filed with the North Carolina Secretary of State and IRS. The Lesbian and Gay Community Center provides space and opportunity to nurture, celebrate, and empower our diverse LGBT community through programs, events, and collaboration. The Lesbian and Gay Community Center Project provides a home for the birth, nurturing, and celebration of lesbian, gay, bisexual, and transgender organizations, institutions, and culture; offers access to informational and educational resources and activities designed to empower individuals to achieve their fullest potential; promotes strong community partnerships; opposes prejudice; and, increases public affirmation of lesbian, gay, bisexual, and transgender individuals through education, advocacy, and outreach. The most significant activity is producing the Charlotte Pride event and providing safe environment for other recreational and educational activities. Providing education for the general public. Educating and providing safe environment for the gay, lesbian, bisexual and transgendered community. Program services include providing safe environment for education and recreation. Building space is made available for various events through the year that are directed towards the gay, lesbian, bisexual, and transgendered community. To provide a home for the nurture and celebration of lesbian, gay, bisexual and transgender (LGBT) organizations, institutions, and culture; to offer access to informational and educational resources and activities designed to empower individuals to achieve their fullest potential, promote strong community partnerships, oppose prejudice and increase public affirmation of LGBT individuals through education, advocacy, and outreach. To provide a space and opportunity to nurture, celebrate, and empower our diverse LGBT community through programs, events, and collaboration. a safe place that welcomes all. The LGBT Community Center of Charlotte seeks to promote diversity, acceptance, and visibility of the LGBT community through original and collaborative programming and events, and by providing and inclusive, welcoming, and affordable environtment for all. To enhance access to resources by serving as a central point of information and referrals to local organizations. * To promote a more efficient use of nonprofit funds through affordable meeting space, pooled office costs, and project collaboration. The LGBT Community Center provides space and opportunity to nurture, celebrate, and empower our diverse LGBT community through programs, events, and collaboration. Who are the true ‘bully leaders’ in Charlotte’s LGBT community? On Friday evening, I had the phenomenal joy of attending the Charlotte Business Guild’s second annual fundraising dinner. This local group has done a great job at building its diversity and outreach, all the while remaining true to principles of openness and transparency. In fact, it was just a few months ago that I attended an open board meeting they held specifically for the purpose of soliciting open feedback, suggestions and ideas for their organization’s mission, purpose and growth. And, I’ve been lucky to have had several conversations with this organization’s president about the group’s mission and purpose; each time I’ve felt my ideas were welcomed, appreciated and taken to heart, and I’ve honestly seen some of these suggestions actually put into practice. To say the least, the organization’s event on Friday was astounding! Their board deserves the utmost congratulations! Unfortunately, the event was sullied by another community leader’s arrogance and own self-importance. This particular leader is a former president of the Charlotte Business Guild and a current board member at the LGBT Community Center of Charlotte, for which I have often offered my public support, which I was once a years-long volunteer for one of their core partnerships and fundraisers, and to which I have offered much-needed, public constructive criticism over the past nearly two weeks. This leader had the opportunity tonight to accept an award on behalf of another community leader who was unable to attend tonight’s Charlotte Business Guild event. Instead of simply doing as all award stand-ins should, this leader took it upon himself to use the spotlight to air his own personal opinions, whether or not they actually represented the views of the person for whom he accepted the award. This leader — whom I have known since my college days at the University of North Carolina at Greensboro — had once earned my respect as a humble, considerate, open and compassionate leader. But, unfortunately, his actions over the past few years as a close supporter of and board member of the LGBT Community Center of Charlotte, his treatment of volunteers at that organization, his cold shoulder to constructive feedback and suggestions about that organization and his arrogant actions tonight — when all other people in the room were behaving and speaking civilly and respectfully — have considerably damaged my perception of his reputation and his character. Repeatedly refused to quickly and openly respond to my job-related, perfectly-legal and routine requests for the organization’s annual IRS tax return (which is legally open to public inspection by any citizen and resident) without first requiring me to either jump through several hoops or officially informing them of the legal and financial penalties for ignoring such a request. Ask yourself: Is the person who finally speaks publicly these long-known truths and calls for openness, transparency and accountability the “bully,” or does the title of “bully” truly belong to those whom have repeatedly shown they will do almost anything in their individual authority and power to cast aspersions on those who dare challenge their hurtful and blind “leadership” of our community? I think the simple and honest answer is the latter. Whether you agree with me or not — and especially if you disagree with me, since I not only welcome but also appreciate a diversity of thought and opinion — I encourage you to attend the LGBT Community Center of Charlotte’s town hall discussion, where these and other issues will be discussed openly and, hopefully, honestly. The town hall is scheduled for Wednesday, Dec. 4, 7 p.m. at the center, 2508 N. Davidson St., Charlotte, NC, 28205. Charlotte LGBT center announces it will hold town hall for community on Dec. 4, 7 p.m.
LGBT Community Center of Charlotte Chair Roberta Dunn has announced she will hold a community town hall on Wednesday, Dec. 4, 7 p.m., at the center, 2508 N. Davidson St. 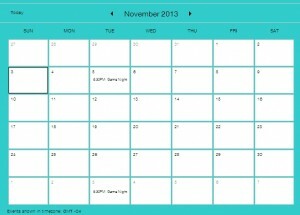 The chosen date is one week after Dunn’s initial suggestion of Nov. 27, which would have occurred on the Wednesday before Thanksgiving. Dunn has said a “respected person” will moderate the event. It is not yet clear who this person is, but the moderator will be announced soon. In scheduling her organization’s town hall, Dunn asked for my preference in dates. See screenshot below (click to enlarge). I just got your recent comment regarding the town hall date, where you ask me to respond on whether Nov. 27 is appropriate. Let me know what your final decision is. I will advertise it as well as I can, so as to ensure the best community feedback in order to assist the center in its future well-being. Thanks. Dunn then followed up this afternoon. See screenshot below (click to enlarge). Again, I find it astonishing that the center can’t plan its own event. Do they really want a town hall and discussion with the community? If so, plan the event. If not, don’t plan the event. Choose a date. Step up. Be leaders. Who will be the town hall’s moderator? I’m not a board member at the LGBT center. I will not do their work for them. I may have ideas, which I have shared, but it isn’t my responsibility to listen to feedback from community members about organization on whose board I do not serve and with which I have no official affiliation. If the center board truly wants feedback and transparency, then they need to show it. Doing their jobs by making decisions as a board chair and a board is a good start. And, I should add: I, and so should the community, expect that all board members be present at the town hall they have now planned and scheduled. LGBT Charlotte Center Chair Roberta Dunn says constructive criticism constitutes an "attack" on center volunteers and board members. On Tuesday, after more than a week’s worth of public discussion, the LGBT Community Center of Charlotte issued a public response, via center board chair Roberta Dunn, to constructive criticism and suggestions they received from me regarding their operations, their programs (or lack thereof) and their expenses. Instead of taking responsibility for their many mistakes in non-profit governance, including their expired charitable solicitation license from the North Carolina Secretary of State, the center and Dunn thought it was more important to paint me merely as a critic with no solutions. I find it outrageous and shameful that the center chair and board of directors would attempt to equate constructive criticism and feedback with an attack. I believe such an insinuation serves only to intimidate and threaten other community members with feedback from speaking out publicly. Fortunately (or, perhaps, unfortunately for the center) plenty of community members have already spoken out about their experiences with the center. None of these experiences were addressed by Dunn’s statement on Tuesday. Throughout this endeavor for public conversation — a conversation years in the making — I have attempted to represent and highlight the concerns not only of myself, but also those of community members. Obviously, the center board couldn’t see that, and instead chose to respond with a statement that attacked me directly. So, here are the direct comments from community members recounting some of their experiences with the LGBT Community Center of Charlotte. We each await an official response from the center leadership regarding their decision on when exactly they will hold an open town hall to discuss these issues. Thus far, the center has proposed a town hall on Wednesday, Nov. 27, the day before Thanksgiving, a date which is unworkable for most community members. Below is feedback directly from the community, as shared on Facebook over the past week. Comments below have not been edited for grammar or spelling. Unless an individual has given me explicit permission to use their name, I have removed individual names of those making the comments so as not to subject individual community members to the same public attack I received from the center on Tuesday. Each comment represents a different community member with negative experiences with this community organization. Ya know, I find it amazing that this very same conversation was happening 5 years ago. Are they still NOT subletting to local LGBT orgs to offset some of the cost? If not, then why? Aren’t there currently some LGBT orgs renting space at other locations? I can remember when I was administrator there it was talked about but no one ever did anything to bring in tenants. I also remember getting my hand slapped on more than one occasion when trying to bring in revenue. It was one of the reasons I finally quit. The micro management by a board that met once a month was a struggle. I want even allowed in the meetings. Near the end of my time as administrator they would bring me into the monthly meeting for a few minutes but that wasn’t consistent. Like I said before, little seems to have changed and I don’t understand why. Thanks for all the reporting on this, Matt. The Charlotte LGBT community DESERVES an LGBT center that actually serves the community. It should be the hub of our community’s activity. Hopefully the spotlight on all their shortcomings will be a catalyst for positive change. Matt – I’ve been reading your articles with mixed feelings. You know first hand that Visit Gay Charlotte could have been a Community Center project/program from the get go but for the cold reception I received from Denise and John on the subject. That said I think that the Center has made some steps that I applaud including changing their name to reflect transgender, the election of Roberta Dunn to the board, the hiring of Glenn Griffin, and the moving out of NCMF which was never a good fit for the community’s needs. My hope is that this recent publicity will result in the Community Center recognizing what a great opportunity this is to reconnect with the community and both publicly respond to both your articles and to any sentiment (small or large) within the community that the center is disconnected and managed by a few in closed settings without interest of the community reaction to that. I think Charlotte is lucky to have a Center. I also think Charlotte is lucky to have such an involved community. My hope all this translates to an opening of doors (real or imagined) at the Center. My wife and have made several attempts at volunteering and gotten nowhere. It’s unfortunate and I hate to display negative remarks on a fb page, but feel like people who want to reach out should be able to. Matt thank you for addressing this. Honestly, I have grown up in Charlotte. My wife is from FL and NYC. We have great networking and a lot to offer the community center regarding pride, events and motivating a community to step out and up. We both have made several attempts with open hours to devote time to the LGBT community center and both have been turned away. WHAT organization turns away volunteers? Especially during this time? Charlotte’s largest pride was not credited towards the community center, but 70,000 that showed up and were proud to be there. Vote on what you want, keep your board, your laws and your secrets. My love, my life and my charities have no bearing on your pride or your community. I have to agree with Matt Comer’s analysis. We tried to get involved when we moved to the area 8.5 years ago and attended an “open public” meeting. Based on my experience in Miami Beach, I offered a few suggestions. All were dismissed outright. A “my way or the highway” approach is not suitable. I wrote the new E.D. asking to meet; he was ill and it took him a couple of weeks to recover and respond. I suggested meeting him at the Center or Amelie’s nearby two weeks ago and am still waiting for a response. Operating like Blockbuster will not prove to be a successful business strategy. Having spent 10 years in the CLT gay community I can say I have seen the good, the bad and ugly from not only the gay community but he Center. When I moved to Charlotte and came out the Center was the first place I went to. After visiting and meeting some great volunteers I am thankful to this day it was there – imperfections and all. I volunteered on and off for years while I lived in Charlotte and the issue that always drove me away was no matter what you did you were never able to accomplish or expand anything. I think Matt Comer is one of the most outstanding journalists in the country. His points are valid and should be addressed. I say this as a supporter of the center and as a friend of many of those on the board and those who work there. Am hoping the center will address the questions, handle the issues and end up in a much stronger position. I know that the LGBT Community Center can be a strong and vibrant asset to the LGBT community and the entire Queen City. The Center’s Problem has always been a shortage of money, from the get go. I was on the Board. I know. When I came on, the Center was over $50K in debt. By the time I rolled off, we had erased the debt, but there was scarce little to do any programs. I worked to create programs that didn’t cost anything, and one of those is still going today StillOut LGBT Photography Club) but until they get more support as in $$$, the programming will be as skimpy as a pair of daisy dukes. I hope that the gap between the Center and those who would be willing to support it, will be bridged through your efforts Matt. But I fear that you have had to push so hard, that it has put them on the defensive when they should be reaching out. I am hoping that their belated responses to the demand for openness will build to complete openness. But they will need help and they will need to welcome that help with open arms and not turn people away. I would suggest that the Town Hall Meeting be scheduled on another day instead of the proposed Nov.27 meeting which happens to be the day before Thanksgiving when most people are out of town or otherwise engaged with Holiday activities. I very much hope that this line of discussion will lead to a new era of openness and inclusivity for not only the Center but for the Charlotte Community as well. When the Center was formed, I was involved peripherally. As I recall, there was a great deal of consternation about creating another organization that would create programming that would overlap with or “compete” with programming offered by other groups. The “threat” perceived was that a building + services was a combination that would spell the end of other groups. Nobody could hope to maintain independence. 1. They have to be open more than 21 hours per week. I have never understood why the Center is only open so little (though this is a lot more than it used to be). Why isn’t it open on Saturday and Sunday all day? Plus, most evening meetings/activities start at 7:00. The Center is totally out for anything that extends beyond 8:00. 2. They have to have relationships with the other organizations that could be conducting programming at the Center. They need to court them, invite them for tours, etc. 3. They need to look at their rate structure. It seems kind of odd that they pitch to donors that they provide space, yet charge $50 an hour to the groups using the space. This is unaffordable for many groups. To be fair, I have had a couple of meetings there for FREE. But my understanding is that on-going usage of the space requires a rental fee. 4. They have to deal with the issue of food and food service. It’s really hard to have a meeting that starts at 4:00 on Sunday afternoon with nothing to eat or drink. I’m not serving volunteers meals, but they are volunteers and I want to respect their time and contribution and treat them well. An arrangement with Amelie’s would seem to be perfect. At least they could have a coffee pot and a drink machine (these, by the way, are revenue generating items). 5. They need to equip the meeting rooms for meetings. White board, tables that allow flexible set-up, etc. And it would be nice if it were clean. 6. If you want to have an event there, you have to have some sort of kitchen facility. If we were going to use the space for [a larger event], I think it would be fair to rent it. 7. For an event space, the Center just doesn’t cut it. It’s not attractive; it looks junky. 1. One Voice is paying for rehearsal space. While GMCC and the Pride Band have rehearsal space for free, it wouldn’t hurt to have access to the space. These groups and others have to make other arrangements because of various scheduling or cost concerns with the centers and their host groups. Having these organizations meet at the center regularly might be disruptive, but at least occasionally it would be really helpful. 2. Time Out just went somewhere else for space. Missed opportunity there? 3. Charlotte Pride is also meeting elsewhere, for free, after they were asked to pay for meeting space at the center. 5. 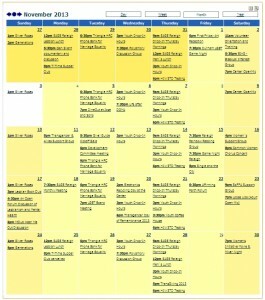 All of the groups that meet 1-4 times per month. 6. All the board meetings. 7. All the committee meetings. Additionally, several other business leaders or community leaders who work for or are associated with other local LGBT non-profits have reached out to me. None have felt comfortable speaking out publicly. Their reasons are legitimate. Regardless, each also have legitimate concerns with the center. One, in particular, shared with me a past experience regarding a potential center building purchase and purposeful efforts to keep center board membership numbers low and exclusive. See that feedback here. Another, in particular, shared with me a specific story about a specific center project. The information this leader shared with me is too specific and contains too much personally-identifying information to be shared publicly. Suffice it to say, this particular leader says they “washed their hands” of the center and will have nothing to do with them unless they see changes from center leadership. After more than a week of commentary and suggestions, along with building community pressure, the LGBT Community Center of Charlotte issued a public response today to several concerns, though many questions and concerns remain unanswered or unaddressed. Additionally, the center announced that it will hold an open community town hall meeting likely on Nov. 27, 7 p.m., though that date doesn’t seem definite. The response, written by board chair Roberta Dunn, responds to several concerns I’ve raised, but ignores others. And, unsurprisingly, it is a common, knee-jerk, blame-the-messenger type of response that fails to take much, if any, responsibility for the organization’s and its leaders’ own mistakes, most notably the way in which it has operated in secrecy and with exclusivity, causing many community members to be shunned or pushed away from center involvement. Because Dunn’s statement contains several inaccuracies, the statement from the center has been broken up so that I can address the individual comments as they are stated. The center’s remarks are in “blockquotes” and are indented from my remarks. A full version of the statement follows at the end of the post. Over the past week Matt Comer has been posting on his blog his opinions about the LGBT Community Center. As Chair of the Community Center Board of Trustees, I am disappointed that Comer did not meet with me or interview me and other Board members before posting his personal opinion. I have discussed many of these problems with Dunn and other center leaders, including former chairs Denise Palm-Beck, John Stotler and Scott Coleman, over several years. To say I have not privately addressed these issues is an outright lie. Specifically, I and others, have asked repeatedly this year for a copy of the center’s bylaws. They were never provided and were not released to the public until yesterday. The posts over the past week have included more than opinion — they have also included facts and figures, mostly gleaned from records already open to public inspection. The Board and I are delighted that Comer is pleased that Charlotte has a Community Center. However, in comparing other Community Centers to Charlotte’s, he leaves out several facts and includes other information that is disingenuous and misleading. First, Comer provided a chart comparing the different occupancy rates between our Center and Raleigh’s, but did not compare the two sites. So I will. Our rent in our new Center at 2508 N. Davidson Street in NoDa is approximately twice the size of our previous home in the North Carolina Music Factory, so our price per square foot was cut almost in half. Why did the LGBT Community Center Charlotte move to the new location? We moved because we were urged to do so by our community, and for several reasons: community feedback revealed that the Music Factory location was not accessible by public transportation, was not near the majority of the Charlotte LGBT community, did not have enough meetings rooms, and had very limited parking. We currently pay $41,580 per year, for 4,586 square feet of space, which equals to $9.10/per square foot. Raleigh’s Center pays $21,596 per year, for 1,690 square feet, which equals to $12.87/per square foot. The issue isn’t about how much the center is paying per square foot. The issue is that an overwhelming majority, as much as 60 percent in recent years, of the center’s outgoing expenses is being used on occupancy expenses. I outlined that argument in detail in my first post. Dunn falsely claims I didn’t compare the two spaces. I did. You can read my original post here, which includes a chart on occupancy expenses AND a chart comparing the size of the two physical sites. Comer also fails to mention that our Center lost funding from Charlotte Pride (then called “Pride Charlotte”) in 2012. Charlotte Pride had long been established as a fund-raiser for the Center. Loss of that income greatly impacted the Center’s cash on hand and raised property percentage rate. Pride was the Center’s major fund-raising program, which was by design when we worked with Jim Yarbrough and others to save the event several years ago. Pride lost money in 2012, then decided to not be part of the Center and created a new 501(c)3 for 2013. First, a disclosure: I was a Pride Charlotte volunteer in 2008, 2010, 2011 and 2012 and served on the new, independent board for Charlotte Pride in 2013. The then-Pride Charlotte did not lose money. In fact, the center retained a significant amount of money from Pride operations. The center’s bylaws say they keep records and books, so if any person doubts the veracity of my statement, I encourage you to ask the center to open its books and show you its accounting ledgers and other records. Looking merely at their most recent Form 990 will do you no good; based on information that was freely available to committee members at the time, the 2012 activities of Pride Charlotte were grossly misstated on the 2012 Form 990. Further, to be clear: I was not initially in favor of splitting from the center, and worked with my fellow Pride volunteers to find a way to stay affiliated with the center. But, after months of attempted conversations to resolve differences I eventually came to support the split, primarily because it became clear these differences could not be overcome. The center board, too, supported the move to establish an independent Charlotte Pride, as indicated in their unanimous vote to support the split, as recorded in the minutes from their Jan. 2, 2013, board meeting and by the public statement they released on the same day. See screenshot below (click to enlarge). Having a Center that can accommodate fund-raising was a necessity to continue services for Charlotte’s LGBT community. As a well-known leader in the Charlotte LGBT Community, Comer should be behind the Center for the events we are now creating, not attacking the work of our volunteers and Board. I have stated repeatedly that I support the center and want it to succeed. I have even publicly argued against some community members who have said the center should shut down and a new organization should be formed. It is sad that Dunn would paint me as merely a critic, when I have attempted addressing these concerns and problems with the center for many years and when I have repeatedly provided solutions. If I offer criticism, it is constructive, not destructive. Dunn and the center board know this. Comer’s blog provided two calendars, one for our Center and one for Raleigh’s, and with Charlotte’s only showing two events. As he is (or should be) very familiar with some of the ongoing programs of the Center, Comer should have known the calendar did not accurately reflect an inclusive list of the Center’s events. What he did was copy a form from our website that we recently rebuilt, so he knew this was an error and either should have asked our Director Glenn Griffin or myself for verification of the current events scheduled. Comer does make reference to this, but posting this incorrect information is disingenuous. Again, Dunn’s comments are false. As you can plainly see in my original post, I did provide details on other events hosted at the center. 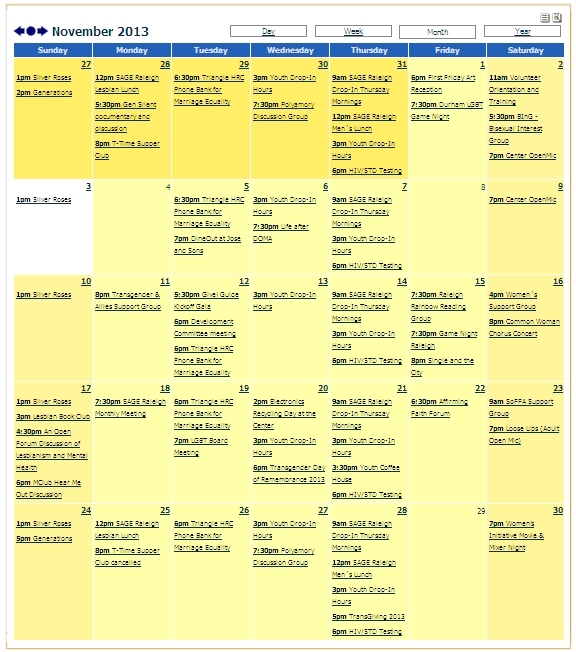 Regardless, my original point stands: Even their most up-to-date calendar pales in comparison to the calendar of events supported by the LGBT Center of Raleigh. The Charlotte center spends twice as much of your community money on a physical space that hosts less than half of the activities Raleigh does. That doesn’t seem balanced to me. 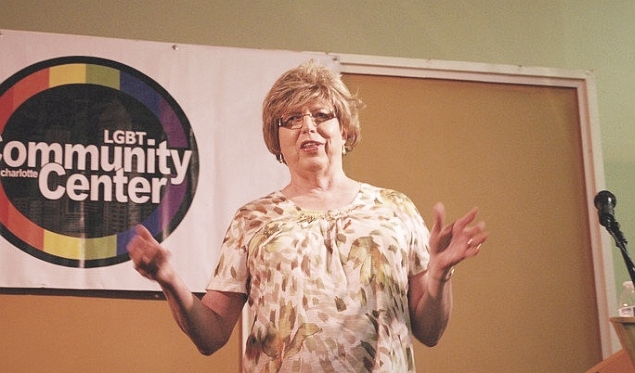 In 2011 the LGBT Community Center Charlotte had a part-time administrator (17 hours a week), and had not had a full-time director since 2008. This was before any of our current Board members were in place. In 2011, we hired a new administrator mid-year and had a goal to upgrade this position to full time within the year. This was accomplished with several performance pay increases, as well. After our move to NoDa in January, our full-time administrator was offered an outside position that better utilized his degrees and he took this opportunity with a very good recommendation from the Center. We interviewed numerous very qualified people for this position and ultimately hired a full-time Director of Operations with the goal of migrating to a staff structure that included an Executive Director and a part-time operations manager or administrator. This is where we are now, as we reinvent our overall programs. Thank you, Dunn, for being open and transparent with the community about your organization’s plans. That is all I have ever asked. The LGBT Community Center of Charlotte is now providing meeting space for local LGBT organizations and groups that were not possible before, with visibility and convenience in the NoDa building that was not possible at the Music Factory. Three locations in Plaza-Midwood refused to lease the Community Center space. The Board’s search committee did an excellent job finding us a new and better building at a lower rate per square foot than before that better meets the needs of the LGBT Community. As a recent example of our facility use, we were able to provide MeckPAC meeting space to host over 34 interviews in this past County election period (this does not show on our calendar). In previous years these interviews would have been held in a non LGBT location such as Panera Bread. The LGBT Community Center has long claimed its primary purpose is to “provide a space.” If this is their primary, core, missional purpose, why are they charging people to utilize their primary, core, missional purpose? To look at it another way: Time Out Youth’s mission is to support youth. It raises funds to support youth; it applies for grants to support youth and collects money from donors to support youth. Given that “supporting youth” is Time Out Youth’s primary, core, missional purpose, how outrageous would it then be if Time Out Youth charged youth for access to support? Very. Further, it should be noted that several community groups that should be using the center’s space are either actively seeking to meet elsewhere or have already been utilizing space elsewhere which is free. The LGBT Community Center of Charlotte has proudly been open for over 10 years and has never had to close our doors to our community. We have continuously provided services and meeting space for the LGBT Community while serving as a resource for information pertinent to our community. When it was apparent that our former website was not functioning as well as we needed, our Operations Director led an effort to launch a more user-friendly site. We invite you to visit the site and the physical Center often, and we welcome and need your feedback and suggestions. For this the Board recommends an Open Forum at the Center on Wednesday, November 27 at 7:00 PM or a weekday in the first week of December. Dunn and her board need to set a definitive date for this town hall. Is it Nov. 27 or is it “a weekday in the first week of December”? Make the decision and calendar the date, create a Facebook event and create posters. Why are center board meetings closed to the public? What is the purpose of this secrecy? Will the center change its bylaws and open their meetings to the public? How does the center propose to solve its funding problems and reduce the percentage of their total expenses (as high as 6o percent) they are currently spending on occupancy expenses like rent and utilities? If the center sees no problem with its unbalanced spending priorities, what defense or explanation can it offer to justify it, given that they also charge the community to use the very same space they ask donors and foundations to pay for. Does the center have any response — any response at all whatsoever — to the slew of community members and leaders who have expressed past negative experiences with the center, under both current and past leadership? Are they willing to acknowledge mistakes and apologize, or will they simply ignore these community voices? What is the current status of the center’s efforts to fix its expired charitable solicitation license? What assurances do community members and donors have that their money is being spent wisely when the center cannot adequately maintain the licensing required to solicit funds? There are other concerns, as well, and future posts will delve into these concerns. 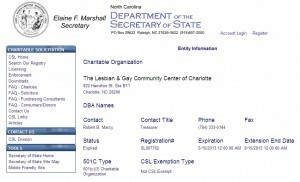 Responding to continuing community pressure, The LGBT Community Center of Charlotte today created a new section on their website and has publicly posted the center’s bylaws, the group’s tax-exemption determination letter and the center’s most recent Form 990, the annual tax return it files with the IRS. I, along with others, have long asked for this information to be made public. Specifically, it has been months since I and others asked for copies of the bylaws. And, because the bylaws are now public, we have an answer to at least one question I and others have been asking: Are center board meetings open to the public? Quick answer: NO. And, that secrecy is completely by purposeful design. For an organization that has battled so many feelings of mistrust and a lack of transparency and accountability, you’d think that meeting regulation would be the other way around — that meetings are always open to the public, unless the board determines to go into executive session. Public session should be the default, not executive session. Another question answered: How are board members chosen? It’s a completely self-perpetuating board. Though, I figured that’d be the case. I’m not surprised: No community input for community leadership at the community center. Darn. Will the center schedule a public town hall and allow the many community members who have concerns to speak directly to the board? Does the center have any response — any response at all whatsoever — to any of the issues thus far discussed on this blog or in social media this week? Their operations director is aware of each of these concerns and questions as they have been addressed by community members. Such concerns could be addressed in a town hall, but in the absence of an as-of-yet scheduled town hall what does the center have to say about the number of people who have had negative experiences with them? Over the past week, it’s been absolutely amazing how many people have reached out to me to share their experiences with the LGBT Community Center of Charlotte. Between those stories shared privately and those shared publicly on social media, it’s clear many of these experiences have been negative. One community member, a real estate broker by trade, reached out to me recently to share how they once stepped up to help the center, but ultimately felt the board was making bad decisions. That person asked me not to use their name, but did want their story shared. It’s unfortunate that this person doesn’t feel comfortable speaking out publicly, but I’m glad I’m able to help them them share their story and experience. The community member speaks on the effort to help find the center new space after it was forced to move from its Central Ave. location in 2008. The group eventually moved to the NC Music Factory, a decision that left some in the community displeased. The location was out-of-the-way and out-of-sight, and it was not on an accessible city bus line. The location was also expensive, with the center spending as much as 60 percent of its expenses solely on occupancy expenses like rent and utilities. (Minutes I recently received from a July 2009 center board meeting show the group had as much as $5,000 in outgoing expenses each month.) It was a non-renewable expense they couldn’t really afford — unwisely spending money that might have otherwise been reinvested into their programs and services or, in the community member’s opinion, into a building purchase that would have eventually become an asset. The community member also shares their impression of the board, including one board member who said they purposefully kept board membership numbers low and exclusive, a common complaint among many community members who have felt the board lacks transparency, inclusion or accountability. Over the past year or so, at least four new board members have been installed and then quit or resigned the board. Over the same time period, at least four previously-serving board members have also left the organization. Further, The center board has been asked repeatedly by me and others to publicly advertise when their board meetings take place and to open them to the public. To be abundantly clear: The story shared by the community member below dates from 2007-2008. I do not believe it is appropriate to hold current board responsible for actions or statements made by past board members. But, I am sharing this story — particularly the community member’s thoughts about board composition — as an important example of the center’s long history of throwing transparency and inclusion to the wayside and the exclusive manner in which they make decisions. The community member’s edited comments below. When the Center was looking for a space after they were given notice to vacate Central Ave. I contacted them and wanted to see if I could help them find a new property. When I found out what they needed, I then put a real estate deal together. This is for the retail location where Green with Envy is now. I personally hate when non-profits hit me up for money and I believe a center should be able to pay for itself. So I figured out what was missing: a reason to go to the center. I felt like if the center had a coffee shop/bar incorporated or attached as a common area to meet people, it would give people a reason to be exposed to the center. So I found a coffee shop with multiple locations in Charlotte that was interested in leasing space if it was next to the center. I had the listing for the Green with Envy store. So I talked to the owners and they agreed to sell at set price and give the center 20 percent back at closing, which was needed to get the deal done. The coffee shop I had lined up was going to pay $4,000 a month in rent. Which means we could have had a center with huge frontage, where you enter into a courtyard with a coffee shop/bar, then to the side there were the office meeting spaces, which at the time they were leasing to some other groups. All told, the center would have had to pay about $500 a month toward the mortgage and that’s it. The coffee shop would have paid the rest. The board when I presented it, had no business sense. They told me they spent over $100,000 upfitting Central Ave. location for a three-year lease, because “the rental rate was cheap.” But, when I told them to divide that 100,000 by 36 months of occupancy, they were paying more than the Bank of America tower. They had another broker that came in and presented stuff, and they went with the Music Factory. I washed my hands and lost all respect, even though I had a bank willing to do the deal for them for the building purchase. They had NO business people with ANY common sense, at that time. I wanted to try to bring the community into it and make the center a real estate owner. That way, they would have an asset and they could then do campaigns to raise money to pay off the debt quicker, or they could just sit back and let the coffee shop pay the mortgage and then have a $700,000 piece of real estate. I felt like it was a small group of people that wanted to be important, yet had no idea how to become important. Even back on Central Ave. they had no purpose. Personally, the only thing I believe it has been doing right is free HIV testing, even though it’s the health department that actually implements that. Other than that, I don’t understand it’s purpose. Never have. Rent or resources? That’s the question I asked in a post about the LGBT Community Center of Charlotte last week, in which I argued the center would be much better off spending less money on occupancy expenses and more money on programming, projects and services benefiting the community. In short, I believe the center has been setting the wrong priorities for the community dollars entrusted to their care and have been poor fiscal stewards of your money, irresponsibly spending as much as 60 percent of their total expenses over the past four years on occupancy expenses like rent and utilities. As it turns out, the center may also be guilty of irresponsible non-profit governance and potentially illegal fundraising activities. 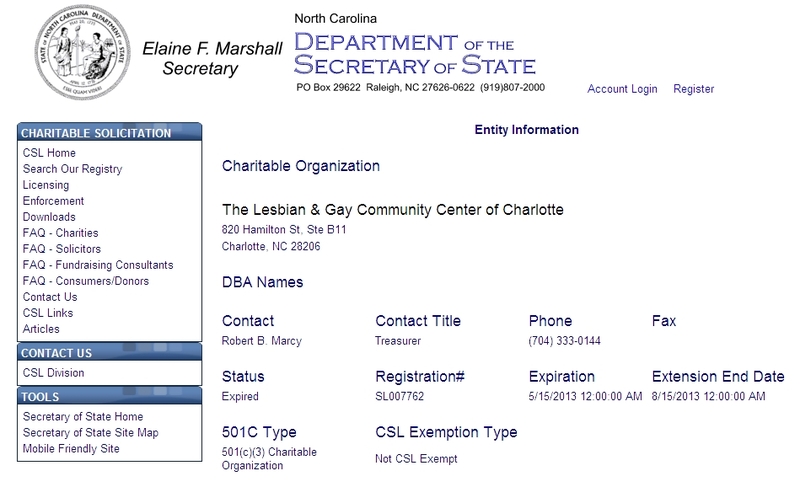 According to the North Carolina Secretary of State, the LGBT Community Center of Charlotte is currently operating with an expired charitable solicitation license. The license, offers public oversight over non-profit organizations, ensuring that groups soliciting money from citizens are doing so for legitimate purposes. The center faced a charitable solicitation license expiration on May 15, 2013. The center was granted an extension to Aug. 15, 2013, coinciding with the group’s extension for filing their federal Form 990, the annual tax return similar to individual returns many non-profits, including the center, are required to file with the IRS. But, you won’t find the LGBT Community Center of Charlotte’s record on the Secretary of State’s website. That’s because the group actually filed under their legal name, “The Lesbian & Gay Community Center of Charlotte,” which they have not yet updated with the North Carolina Secretary of State’s corporations division, the charitable solicitation licensing division or with the IRS. What’s more, their solicitation license was expired by the time the group held their first annual fundraising dinner, the Autumn Jubilee, in October. Holding such a charitable fundraising dinner is one of the criteria that explicitly requires an organization to register for a solicitation license with the state (barring any potential exemptions, which, I do not believe the center has). Perhaps you are one of those folks who disagree with me when I say the center is not abiding by the spirit of their mission and purpose. Perhaps you believe the center is doing a fine job with the money you donate to them. But, even if you disagree with my assessment of their activities, I think we can all agree their activities — whatever they may be — should be done legally and with the proper, responsible oversight given to state agencies, donors, volunteers and community members. P.S. — I’ve spent the last week discussing in detail, both on my blog and on Facebook with other community members, about my vision for the center and its need to provide more programs and projects for the community. Currently, they provide no substantive programming. The programming they do have — game nights and their Beach Blanket-, Wizard of Oz and other similarly-themed bingo nights — aren’t even enough to get my community-loving, way-too-involved and philanthropic gay roommate to turn off his Golden Girls reruns, get off his couch and to support the center or attend events there. 6. Describe the purpose for which contributions will be used: To provide programs and services primarily in support of the Charlotte LGBT community. That application was received by the Secretary of State in October 2012. A year later (and 12 years after their initial founding) and the best the center has come up with are game nights and bingo nights. I’m not knocking social events like game nights — many people might need an inclusive social outlet and kudos for the center for providing such an opportunity. But, I think most would agree that playing games and shouting “Bingo!” once per month aren’t the types of substantive programming that will inspire, connect with, unite or invigorate community involvement and increased donor activity. P.P.S. — I’ve said multiple times that I’m not seeking to destroy the center. I want to save it. If I didn’t care, I’d simply sit back, like others are, and wait for the organization to fold. But, after years of having my feedback and constructive criticism rejected by center board chairs and directors, I’ve turned to my personal blog and Facebook to air these grievances publicly. I want the center to succeed, so I’m not reporting their potentially illegal fundraising activities to the Secretary of State. However, if you should feel so moved, you can click here to access the complaint form.